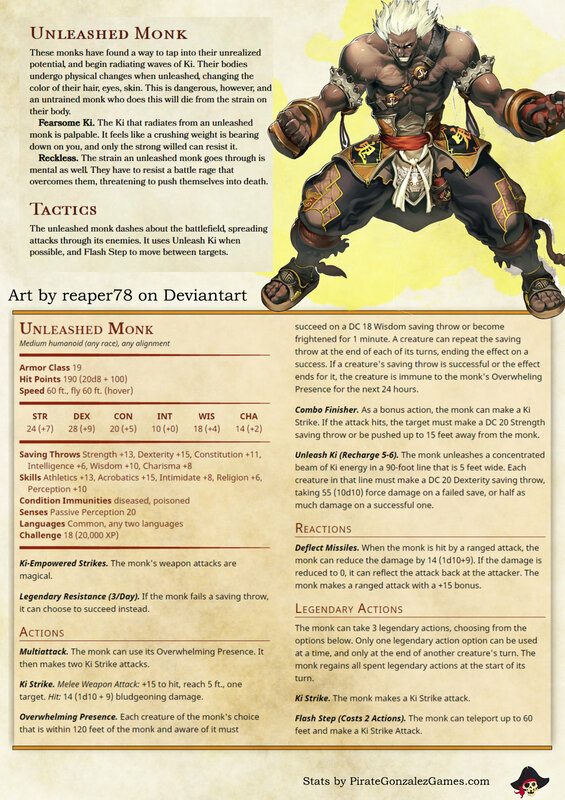 This week's entry to the NPC Gallery is the Unleashed Monk. Ok, it's not actually a super saiyan. But it's what I thought of as soon as I saw the picture. The unleashed monk is what I see as a fantasy version of a fighter going super saiyan. Instead of it being an ability utilized due to heritage, it's something any sufficiently trained monk can use, although with danger to their own body. Check on the CR 18 Unleashed Monk.